The M8 came out in 2006. It was actually the second digital rangefinder. The first was the Epson R-d1 which was based on the Voigtlander (made by Cosina) Bessa. 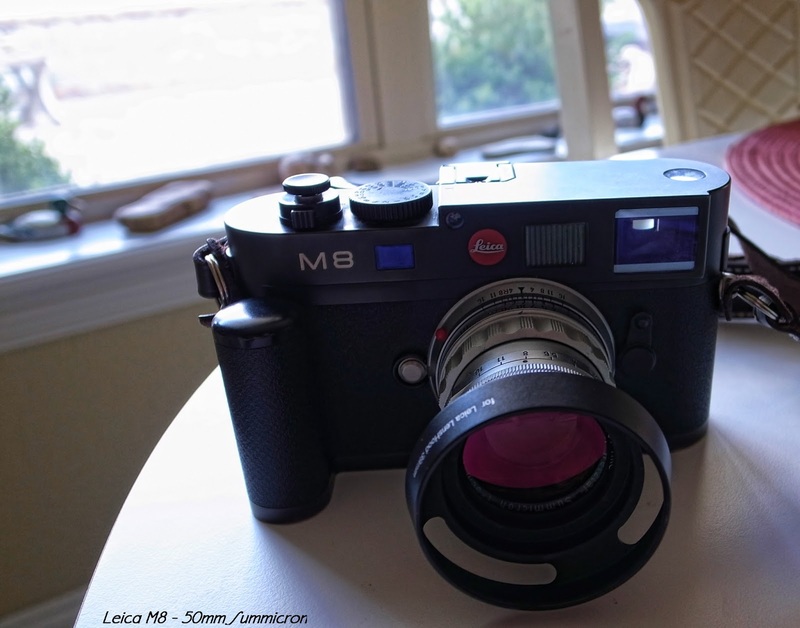 The M8 was in the line of & followed film Leica M(s). The first M(s) began in the 1950s with the M3. Of course the 8 wasn't a film camera but a digital camera. The cost was around $6,000. I got mine in 2011 and paid around 2K. I trolled Ebay and Amazon for months waiting for a camera I could semi-justify to appear. When a buy-it-now popped up with what appeared to be the right camera, I sold off some other equipment to be able to afford it. To most people 2K for a camera is a travesty when a $100 point and shoot takes great pictures. 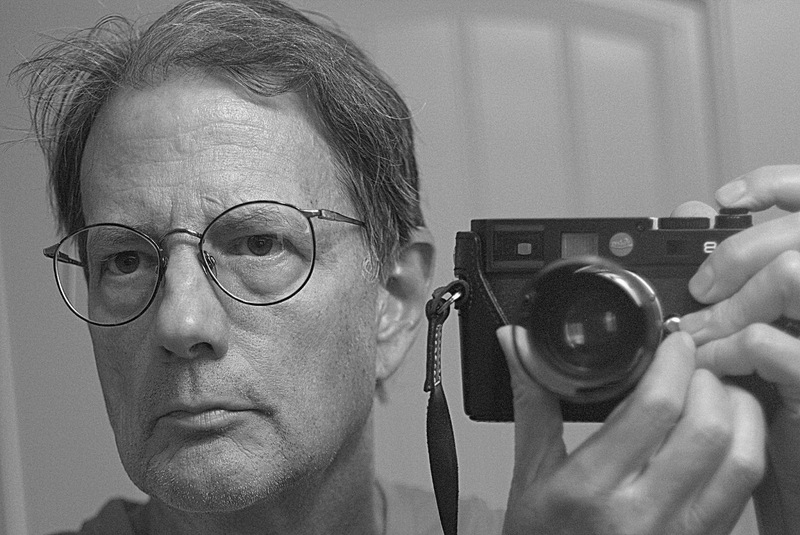 There are reasonable people who bash the Leica for being a dilettante's camera. A poseur's camera. I have respect for those who have owned Leicas, used them and then rejected them for various reasons. Subjectivity about photography is to be expected. I'll admit a Leica isn't necessarily an objective purchase. For those people who haven't owned one and bash them, I wonder how they can be so sure but then again, they are welcomed to an opinion, albeit a non-informed one. Because until you've actually owned and shot with one, you can't know what it's like. 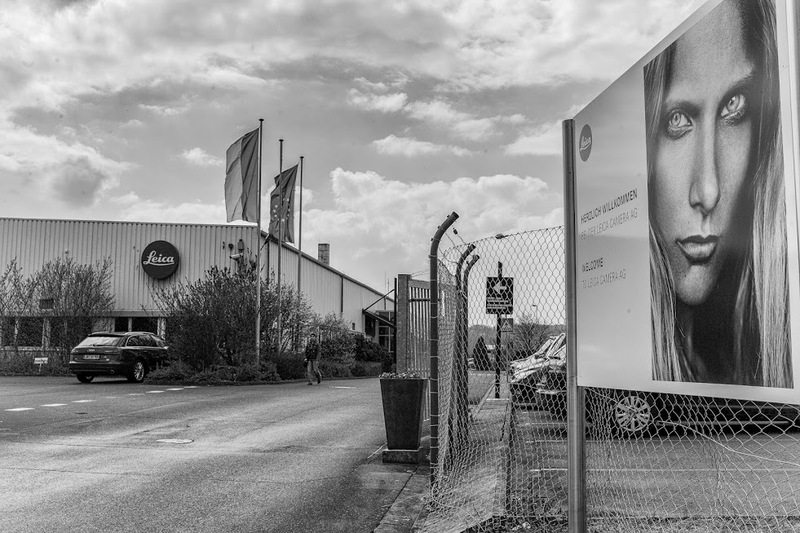 Cameras made in Solms (about 33 miles NNW of Frankfurt) are hand made using materials similar to their precursor cameras that have been made since the 1950s. They have top and bottom plates milled from solid brass. They are precision instruments that will last several decades and more. It's true that today most cameras are consumer items that are replaced like cell phones, i.e. every year or two. Leicas aren't consumer electronic devices. They are cameras, not computers that take pictures. They are hybrids of course because the camera does have electronics installed BUT they have lenses with manually selected apertures. You can watch the aperture blades move inside each other to open and close the opening in the lens even when it's not attached to the camera. You can see the shutter curtain inside the camera lens mount. You can select shutter speeds with a real dial. The camera uses Leica lenses from the 50s and before (and since of course). Leica thread mount with adapter and Leica M mount. like the precision instrument it was in 1956 and still is in 2012. I'm of the personal opinion that an M8 takes great shots with many lenses, including some cheaper Russian lenses from the 60s and 70s as well as taking exceptional photographs with very, very expensive lenses, like the Leica Summilux or even Notilux, neither of which I will soon be able to obtain economically. I do use Voigtlander lenses with great success and would not be embarrassed to use the camera with the Consina made lenses. The Noktons are the best for low light and bokeh but the other cheaper Voigtlanders take very sharp photos indeed. The Tao of Leica came through to me when I was learning to play the guitar, which I struggle with. I tried several guitars and progressed and decided to see if I could pick up an American made Martin to try. I obtained one to try and not looking at the fret board began to practice chords and leads and I felt something going on. My fingers fell on the strings and frets in a new way. The guitar had been made with such precision that it was a new feeling for me. The feeling of precision was rather unique to me. The Leica M is the same way. It is a precise instrument manufactured within narrow tolerances and it is unique. Cameras will come and go for me but I doubt I part with the M8 until perhaps the M9 street value falls to within my disposable income's rather narrow tolerances. Even then I hope to keep the 8 as it takes a bit of a sharper picture than the 9. To those who feel sorry for me in not recognizing how misguided I am for not using a faster or higher resolution camera, I understand. You're probably right. Using this camera transcends objective understanding. I sold the Martin and play a Seagull because I like the way it sounds better even though it doesn't feel as precise. But the relationship with the Leica is different. I keep the Leica not only because I like it subjectively but I like it's photos better than any other camera. For me that's the Leica M8. A pleasure to own. A pleasure to shoot. It's photos are wonderful. Thank you Leica.